When will you be 1 billion seconds old? I was watching this video from Neil deGrasse Tyson where he explains just how rich Bill Gates is (it's a fun video to watch, check it out here: http://9gag.tv/p/a5XWnk/watch-neil-degrasse-tyson-explain-how-rich-bill-gates-is). In it, he talks about how old you will be when you've reached your billionth second (it's close to 32 years, BTW), and mentioned having taken the time to compute this, and that someone will probably write an app to do this. Note that the time is in 24 hour format (though you can use 12 hour format by adding AM or PM to the end), and that the date is the US standard format, so if your localization is different, you'll probably need to use your localized standard. Whoever has the above birthday will celebrate their 1 billionth second on Saturday, April 24, 2021 at 7:41:40 PM. Anyone who's managed Active Directory long enough can tell you that one of the most (if not the most) important thing to a healthy AD is healthy DNS. While forwarders won't likely be a huge cause for AD problems, it's still nice to make sure your servers are configured in a consistent manner, and since forwarders can be set per DNS server, you'd have to log in to each and every one to verify the settings on it. Fortunately, PowerShell can help (but only if you're running Windows 8/Server 2012 or newer; don't worry, though, the target servers can be 2008 R2, though it does have to be Microsoft DNS (sorry, BIND users!)). Note that if you supply the name of your domain, you should get back a list of IPs of all of your AD/DNS servers. If this is not the case, then you likely have bigger issues with DNS to resolve first. If you for some reason separate your AD and DNS servers, then you may have to do something else to get the list of servers. Also note that my idea of having all forwarders be the same is not necessarily a one-size-fits-all; there are times and places when having them be different for some servers makes sense. Even still, being able to quickly and easily document these settings could be a huge time saver, especially if you have a large environment. Forwarders aren't the only thing you can get with Get-DNSServer; you can see just about any setting on the server with that. I recommend firing it off by itself against a single DNS server to see what all it gives you, and you could easily modify this snippet to document just about any setting in there that you want. EDIT 5-18-2015: I've modified the part of the script that gets the name servers and makes it actually capture the name servers and not just assume that the A records for the domain will be a full list of name servers. Here's where I tell you that this makes changes to your AD environment, and while there should be no ill consequences for this one, do take proper precautions; before running it, you should also just run the first two lines by themselves (minus the last pipe) to see what you'd be changing. Other than that, this is another really simple, fairly self-explanatory snippet. This is another one of those quick and dirty snippets to solve a problem or answer a question (I'm a real fan of those); it could easily be modified to create a much more professional looking report. I was asked to go through a file server share and find out who had access to what at a pretty basic level; mostly, we're comparing groups in an old domain to make sure the corresponding groups have been set in the new domain, but this can be tweaked to help answer many questions. I'm positive there's a better way to target only domain permissions without calling them directly, and when I find it, I'll come back and update this post; but for now, this works. 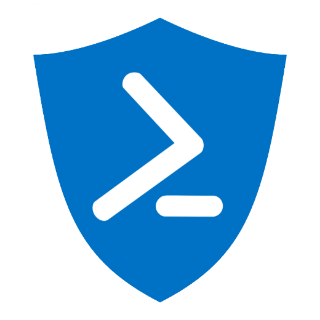 Note that to strip out inherited permissions, you will need at least version 3 of PowerShell (that property isn't returned by v2's Get-Acl). Depending on the size of the file shares you target, this will very likely take a long time to complete, and could give your shell a nice, very large memory footprint, so you'll want to watch for that. Once you have the output, though, you could easily do some quick manipulation in the shell, or export it to CSV and load it up into Excel to analyze it with pivot tables (the best reason for keeping Excel around, in my opinion). Oh, and you will need access to read permissions on everything for this to actually work. Update: There were issues with the original iteration of the snippet, mostly in that the output got messed up somehow when dealing with large-ish data sets (like you'd expect from any file server that's been in production for a length of time): it seemed to get "stuck" (for lack of a better word) on security principals and just list permission after permission tied to the same principal (which a quick sanity check against the file or folder's actual permissions showed to be false). I solved that by outputing each object to a temporary csv file, then importing it back at the end of the process, rather than hold everything in a variable while it worked. The best way to do this is through Group Policy Preferences, but sometimes, we just need something quick and dirty. If you have Server 2012 or Windows 8 (or newer), you have access to such wonderful cmdlets as Get-Printer and Remove-Printer to help you out; most of us, however, still have to work with Windows 7 and Server 2008 R2 frequently. Fortunately, there's a way to do this using WMI, and I've written a quick snippet to show that off. In my example, I needed to remove all of the printers on a server that came from one particular print server, and Group Policy wasn't really a good option at the moment. Note the 4 backslashes at the beginning and 2 at the end; this is because of how WQL queries work, meaning you have to do a double backslash for every backslash to escape them. You can also use SystemName instead of Name in the filter; if you do, leave off the ending backslash (or just leave all backslashes off; it should work just fine that way). Warning: this code could potentially cause unexpected and bad results if you aren't careful. I highly recommend testing before you use, and checking to make sure you've actually captured only the printers you want to remove by taking a look at what's in $printers before you run the last part (just do "$printers | select name" to see what printers you've targeted). Explanation: you can call a particular object by the index, or in this case, a particular line in the file. Remember, the index number will be one number lower than the line number, because the index starts at 0, so line 20 will be at index 19, or $test. You can also call a range of indices, such as to get lines 1 through 5, you would use $test[0..4]. You can use a variable number to specify the index as well, such as $test[$index]. Since the count is going to be the full number of lines, $var.count - 1 would be the last line, so you want it to stop at the next to last line, or $var.count - 2. If you need more than one line off of either side, just tweak the numbers. Simple! Sometimes when troubleshooting a problem, all you have to go on is an approximate time it happened (for instance, a report that a service was running slowly). Going through all of the event logs by hand can be time consuming, but luckily, PowerShell can do that for you! I've multi-lined it to make it more readable. Basically, it's getting a list of all of the Event Logs that PowerShell has access to, then expanding that list (so I get a list of strings rather than objects), and passing it to foreach. Then, I can pass the current log name to Get-EventLog using the current-item variable $_, and tell it that I want to see what happened between the -After and -Before times. Note: if you don't run this as Administrator, you'll get an access denied error when it tries to read the Security log; however, if you don't suspect what you need is in there (it probably isn't), this is actually a good thing as Security can be rather noisy without much useful information.